Tablets are primed for content consumption and not content creation. A recent Telsyte study found 66 per cent of Australians do not believe a tablet could replace their notebook or PC. It’s a sentiment that has grown by ten per cent compared to the year before. Somewhere between the mobility of a tablet and the practicality of a computer is a device people want; a single machine that can be used for everything on the go. Microsoft is betting on the hybrid category with products like the Surface 3. Analysts predict the company is on to something with hybrid sales expected to increase in the next year. Dare we say Apple’s approach with its MacBook is a little more drastic. 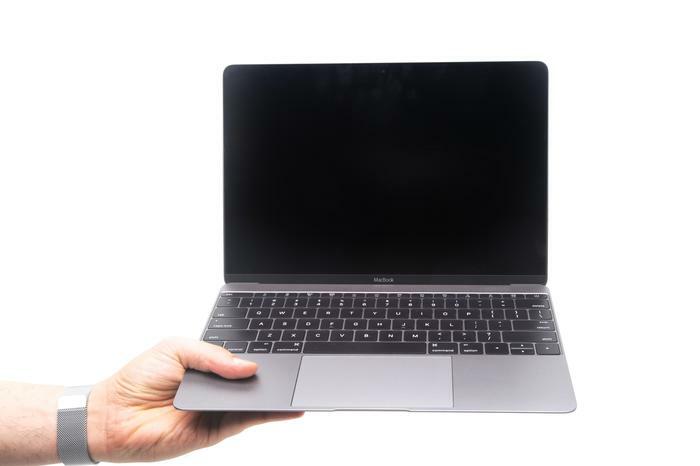 Almost every component has been redesigned and reengineered in order to produce one of the slimmest and lightest notebooks in its history. The MacBook is informed as much by the tablet category as it is by notebooks. It is light at 920 grams and, at its thickest point, it is 13.1mm. That makes it thinner than the original iPad. 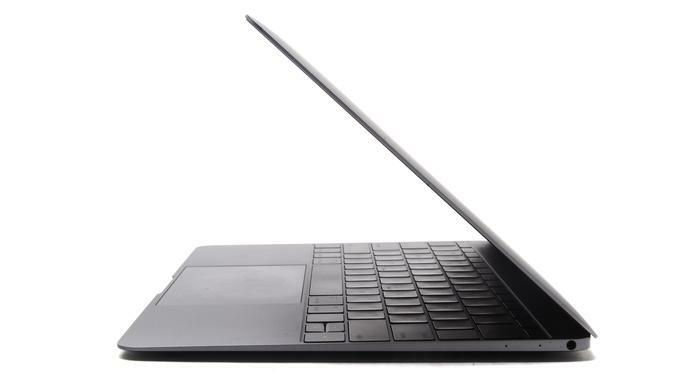 It’s also thinner than the Microsoft Surface 3 when it is bundled with the mechanical keyboard. Features haven’t been sacrificed in the pursuit of making the MacBook. It has a rich 12-inch screen with a 2304x1440 resolution. The bezel running around the screen is narrow and the front firing speakers are proficient enough to match the larger MacBook Air. How did Apple make it so thin? A notebook this slender was not previously possible. Manufacturers have to accommodate standards, such as USB and power ports. The base of the MacBook is as thick as an ordinary USB port and it can only be that thin by snubbing USB support altogether. Instead Apple has relied on the USB-C standard. It is a reversible port one-third in size of a conventional USB, and it can handle the transfer of data, video and power. With all the ports condensed into one Apple can focus on filling the slender internals of the MacBook with more battery. The downside is an adaptor is needed to do two or more of these tasks simultaneously. Prices for an official Apple USB adaptor starts at $29, while an adaptor that can handle charging, video and USB simultaneously is priced at $119. Money is an ancillary consideration with the MacBook. It hasn’t been designed to be wallet friendly because that would lead to compromises that make it thicker or heavier. Mobility is paramount here and because the MacBook is thinner and lighter than its notebook rivals, Apple can afford to charge the premium. Another part of the MacBook that has been re-engineered is the trackpad. Traditional trackpads work using a diving board mechanism. This mechanical part wouldn’t fit in the thin front of the MacBook. Getting around this problem involved redesigning the trackpad. The trackpad on the MacBook looks and feels exactly the same as any other Apple trackpad, but it works completely differently. Sensors now replace the diving board mechanism, while a haptic engine recreates the tactile feedback familiar to all trackpads. Digitising the trackpad brings with it several advantages. For starters, it makes it possible to press down at the top of the trackpad, which was something not possible on mechanical iterations. 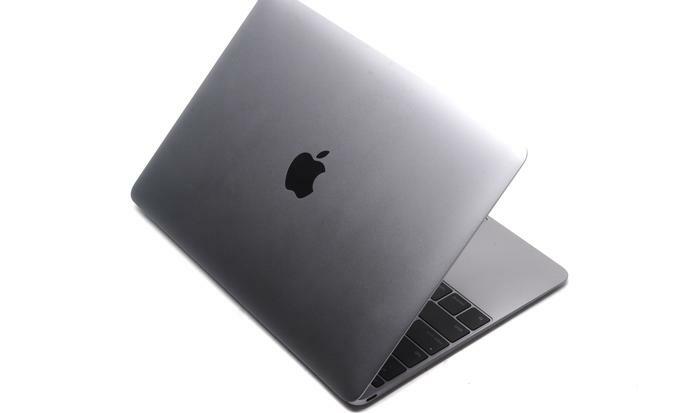 The compact build of Apple’s digital trackpad allows for thinner notebooks to be built. Arguably the most notable advantage is the introduction of a gesture called “force touch”. Force touch joins Apple’s existing language of gestures and it works by recognising how much force is applied to the trackpad. Press a finger down, harder and then softer, and the MacBook will accurately pick up on it. This trackpad, then, recognises depth. 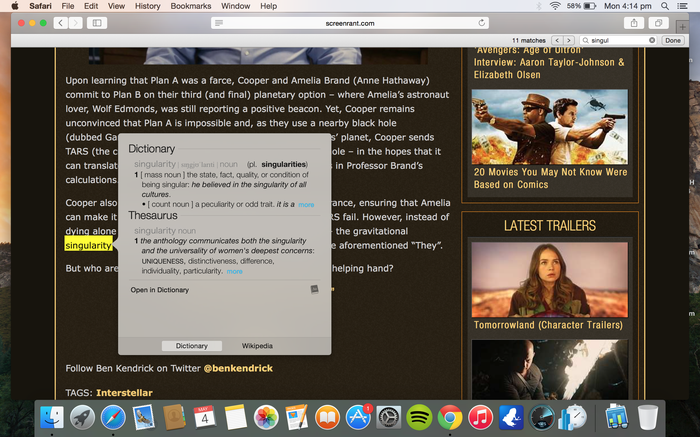 Force touch performs a range of functions in OS X. It works best in select Apple programs by linking the functionalities of two applications together. Take the Apple Mail application, for example. Force clicking on an email signature will prepare the name, phone number and email to be saved in the Contacts app. It does this by opening the Contacts app inside of the Mail app. Clicking on the signature’s address will open a smaller window inside the Mail app, only this window will show the address on Apple Maps. From this window, the Maps app is entirely actionable. Safari can perform similar functions with different apps. 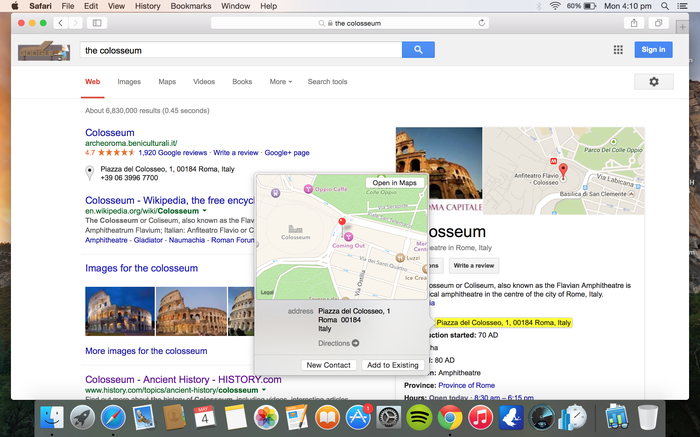 It’ll open the Maps app on addresses, though clicking on a recognisable name will open a Wikipedia window, while force clicking on a random word will perform a spiffy dictionary search. This little feature has great implications. Opening an app at a time was reactive. Force touch is intuitive in that it offers the right app in anticipation. Force touch only works with Apple-made apps. People will likely want to get the most out of force touch and, as a result, will be less likely to use a rival’s application, such as Gmail or Firefox. Ultimately, the functionality of force touch will make it that much harder to leave Apple’s ecosystem, as the walls of its closed garden continue to grow. Not every innovation reaps rewards. The keyboard is one such example where introduced changes make it both better and worse. The full size keyboard pushes the 12-inch body to its limits. Millimetres stand between it and the edges of the MacBook. The buttons and layout are as accommodating as that of standalone keyboard. Parts of it are beautifully made. Each key has an independent LED bulb for backlighting that is consistent across the keyboard, and each one rests in a dome fashioned from stainless steel. Apple has gone so far as to recreate how key presses work by ditching the traditional scissor mechanism for its own butterfly arrangement, which, the company claims, helps make the keyboard 40 per cent thinner. And none of this matters because the keyboard is uncomfortable. Little key travel causes fingers to take the brunt of the shock when typing. People who type plenty will find the keyboard unforgiving during long typing sessions. Touch typing is a must on this notebook as it is akin to typing on the screen of an iPad. The keyboard deems the MacBook ideal only for professionals who spend more time on the road than they do behind a computer, where mobility is of greater value than function. Is it quick? What about the battery? Performance takes a back seat to portability in the MacBook. It is powered by an Intel Core M CPU clocked at 1.1GHz, a processor that sits in between Intel’s Atom and its core i3. Intel’s core M CPU comes with some advantages. It is efficient, drawing only 5-watts of power from the battery and negating the need for a fan. Benchmarking software NovaBench scored the processor at 557, which makes it suitable for everyday tasks, including word processing, Internet browsing and basic multimedia. The CPU handles graphics with Intel’s HD 5300, while storage is covered by 8GB of DDR3 RAM and a 256GB solid state drive. The storage in the MacBook outperformed that in Apple’s 27-inch iMac in BlackMagic’s disk speed test. The MacBook scored a write speed of 426.4MB/s and a read speed of 705MB/s. This hardware takes up only a fraction of the space. 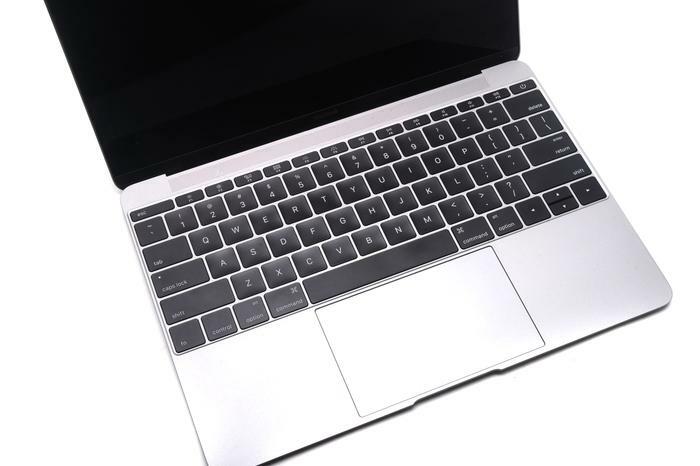 Apple claims the logic board is 67 per cent smaller than the board found in its already chic 11-inch MacBook Air. All of the space saved by the processing hardware, keyboard and trackpad has been used by the battery. It isn’t like an ordinary, rectangular battery that is sectioned to one part of the notebook. Rather it spills throughout the base with stacked battery sheets curving to take advantage of as much space as possible. We tested the battery by looping a Full HD video at maximum brightness, while the notebook was connected to the Internet over Wi-Fi. Good Gear Guide found the MacBook’s battery would last for 5 hours and 42 minutes from full to flat, and that is better than the result achieved by Lenovo’s Yogo Pro 3. Has Apple changed the game? The MacBook is a project fueled by ambition. Somewhere in Apple’s ranks is a person who set out to make a notebook thinner and lighter than anything before it. That they have. The MacBook is thin, light and striking. Place it on a desk and it deems everything else antique. Carry it on the go and it will be with the same sense of pride one carries an Italian made brief case. Making it smaller and lighter doesn’t mean it is not better. Apple’s implementation of force touch in OS X is the kind of ripple that will make waves. Apple’s Watch already supports force touch, and it is only a matter of time before the feature is standardised in its notebooks, and perhaps, the company’s iOS devices. Undermining the appeal of this fantastic notebook is the discomfort brought about by the keyboard. A couple of hours of typing and it leaves fingers sore. For most, that will be enough to give this MacBook a miss.